Were you impressed with the Colle Delle Finestre in this year's 20th stage of the Giro d'Italia? 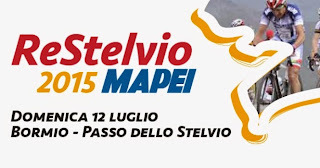 A major new event for Gran Fondo enthusiasts has been announced that will take place on 2 August: the first gran fondo “La Marmotta - Sestriere - Colle Delle Finestre“, organised by SSD RCS Active Team a r.l. There are two routes, both starting at Cesana Torinese and finishing at Sestriere, and both crossing the mythical Colle delle Finestre, the highest point of the 2015 Giro d’Italia. 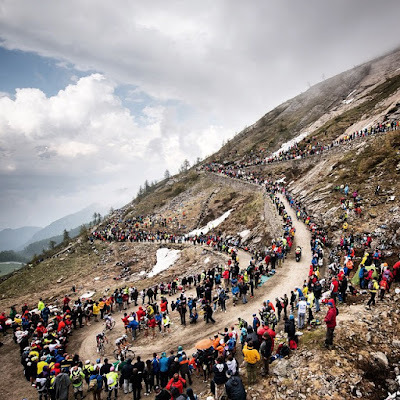 Start: Cesana Torinese – Sauze di Cesana – Sestriere (2035 m) – Cesana Torinese – Oulx – Susa – Colle delle Finestre (Categorised climb 2176m) – Balboutet – Usseaux - Pragelato – Finish: Sestriere (Categorised climb 2035m). The ascent of the Colle delle Finestre will be timed and a classification issued. Start: Cesana Torinese – Oulx – Susa – Colle delle Finestre (Categorised climb 2176m) – Balboutet – Usseaux – Pragelato – Finish: Sestriere (Categorised climb 2035m). The ascent of the Colle delle Finestre will be timed, but no classification published. "It could look strange but the easiest part of the Colle delle Finestre climb is the one on gravel roads. The hardest bit is the first one. 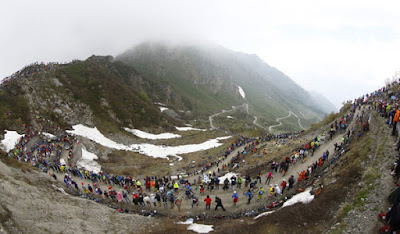 In the first 4km there are 29 of the 45 total hairpins." 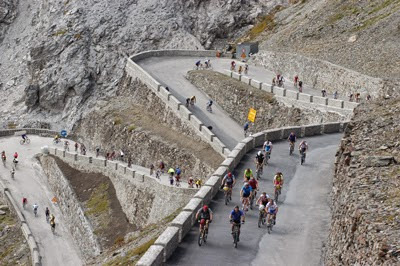 "The toughest inclines are faced in the first 1,500m of climbing. It's a very nice climb. The descent is not that difficult though. There are three bends in which you need to put more attention, first one to the left after 500m from the top." "To face a climb like this at the Giro I was using 39 x 29 as the easiest gear ration. But I'm a professional rider and for us, easy to say, it's different. 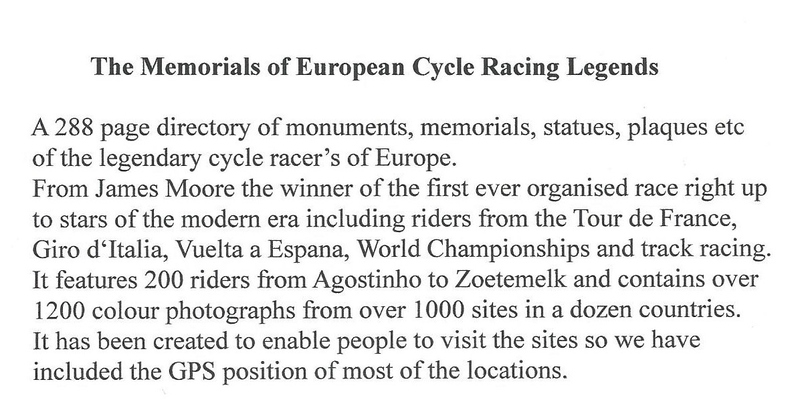 I think that an expert sportive rider could use a 34 in front, while a less expert rider should consider using 32." "Anyone who rides with tubulars should think about using an anti-puncture liquid. The tire pressures should be half a bar less than usual both on front and back wheels. You need to adapt pedaling style too. If you're not used to riding a mountain bike it's better to choose the cleaner lines." If you are going to be near Trento on June 12th you might want to make a reservation for an evening at Francesco Moser's Maso Villa Warth for a tasting of Trentodoc 51.151, food (tortel con carne salada and tortel con marmellata) and music. 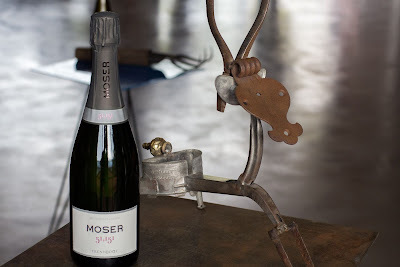 email info@cantinemoser.com for reservations. 51.151 is a spumante. 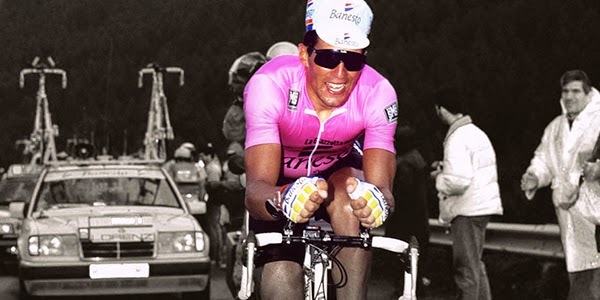 In January 1984, Francesco Moser set a new hour record of 51.151 km (31.784 mi). Fabio Aru (ASTANA PRO TEAM) won Saturday's Stage 20 of the 2015 Giro d'Italia between Saint-Vincent and Sestriere (199km), a stage which included the Colle de Finestre. Alberto Contador (TINKOFF SAXO) was dropped on the Finestre but defended his Maglia Rosa. It was epic watching! The Finestre, with its 8km of dirt road, was first used in the Giro in 2005. 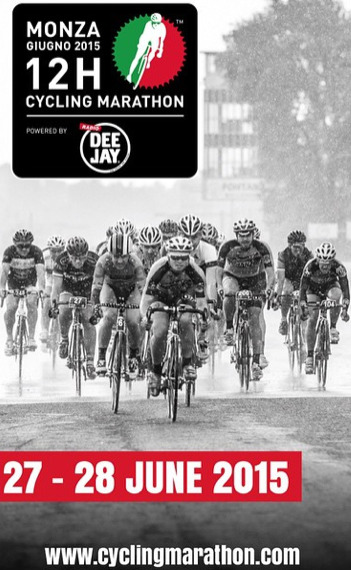 A must read, in words and images, of Saturday's stage is Jered and Ashley Gruber's "Race Day: Finestre". 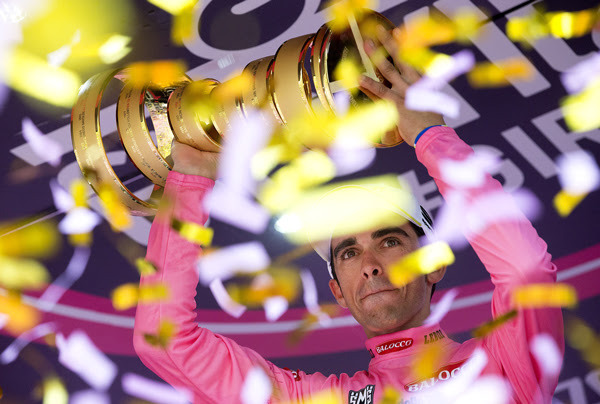 Alberto Contador (Tinkoff Saxo) has won the 2015 Giro d'Italia, although the final stage was as drama-filled and unpredictable as the previous three weeks of racing. Contador finished safely in the peloton at the end of the final stage, Torino - Milano (178 km). In GC Fabio Aru finished 1'53" behind Contador, with his team-mate, Mikel Landa, third at 3'05". 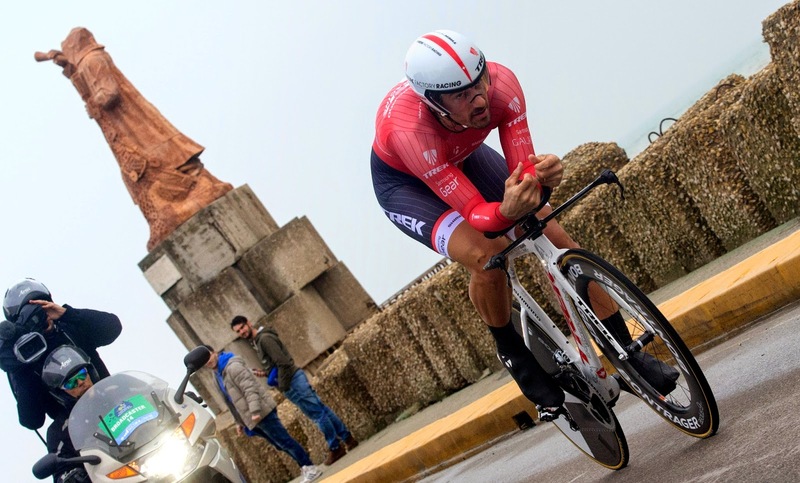 The fourth-placed rider overall was the Costa Rican, Andrey Amador, whose time was more than eight minutes adrift of Contador. 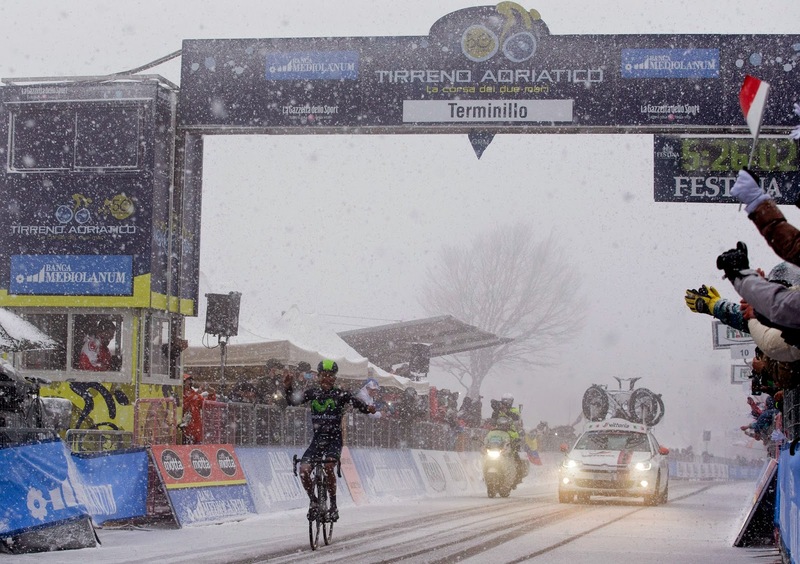 Q: How did this Giro d'Italia differ from the other two? A: My preparation for this Giro d'Italia was optimal. In 2008 I came at the last minute, and I didn't know the race, or how I'd be received, or what the climbs were like. In 2011, I prepared conscientiously, but only after a very intense start to the season. This time, by contrast, I raced in the start of the season, but it's also true that it is the first part of an objective that I've set myself, and for that reason, perhaps, I'm calmer or more reflective while I am racing. Q: Did you make any errors that you feel you must not repeat at the Tour? A: No, I don't think so. Perhaps I see it like this: there were days when I could have been more ambitious. I decided to to ride more tactically, and I think it was the right thing to do, in the end, because look at yesterday: I had a bad day because my strength was declining. No, there is nothing I think that I could improve on for the Tour. Perhaps my main memory of the Giro is the leg pain with which I finished the race, and the tired body. Q: What will you do now? A: My Tour de France starts now. My preparation starts now. Tonight, to the extent to which it is possible, I'll go and rest as early as possible. Tomorrow I want to go to Spain. I want to take three or four days before I start concentrating again on the Tour, in complete isolation. So tomorrow I'm looking forward to a nice day. 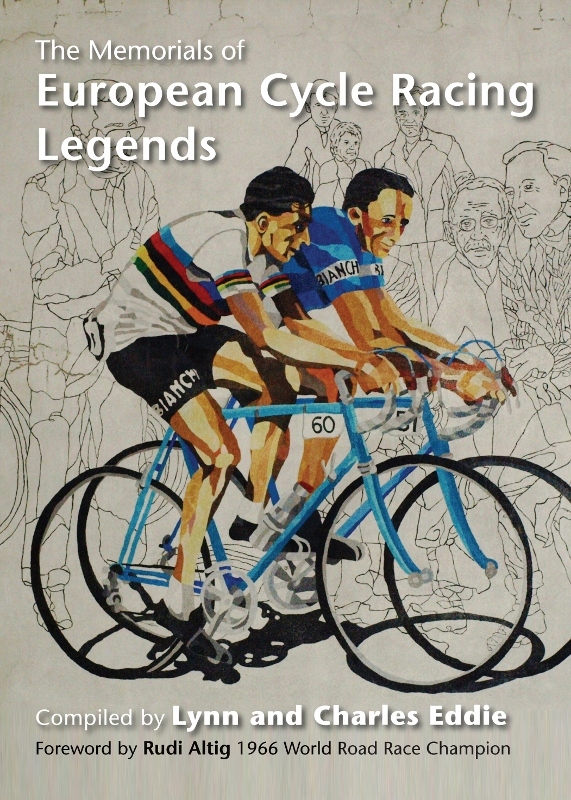 Tsgabu Grmay, Team Lampre-Merida, was the first black African cyclist ever to complete the Giro d'Italia. 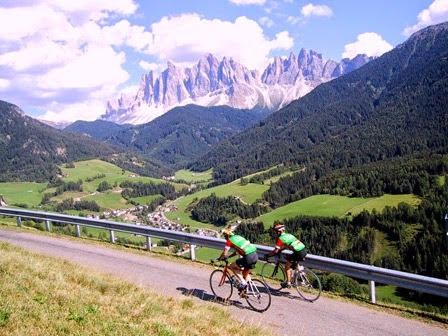 I received a note from Cycle Italia that they have two slots open on their Legendary Climbs tour of July 5-July 16. 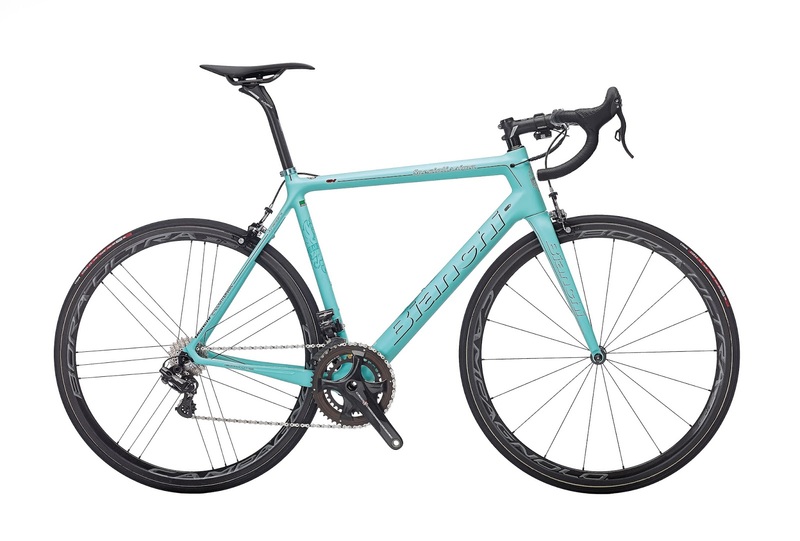 Any readers of ICJ who sign up and mention the blog will their choice of rental bike (subject to availability) at NO EXTRA CHARGE. What's in store? 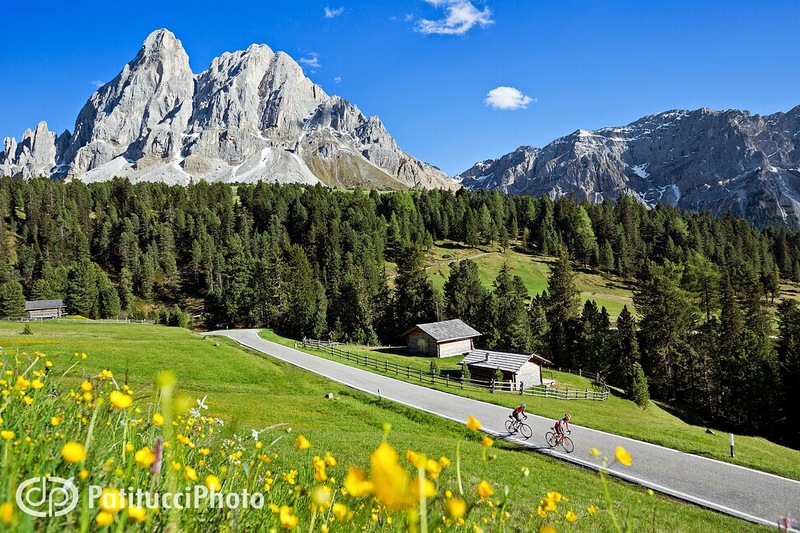 Passo Furcia, Val Pusteria, Passo Tre Croci, Tre Cime di Lavaredo, Passo Giau, Colle Santa Lucia, Falzarego, Valparola, Passo Campolongo, Passo Fedaia (Marmolada), Sella, Gardena, Passo Pordoi, Passo Costalunga, Monte San Pietro, Mendola, Palade, Passo dello Stelvio, Passo Mortirolo, and Passo Gavia. A jersey designed to capture the true essence of the Eroica, the event that embodies the passion of the vintage cycling phenomenon. 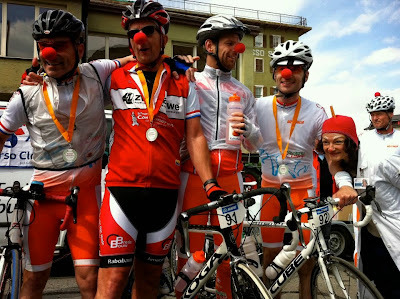 This event inspires thousands of enthusiasts to dust off old steel bikes and take to the white roads of the vineyards of Chianti to relive an experience from origins of cycling. 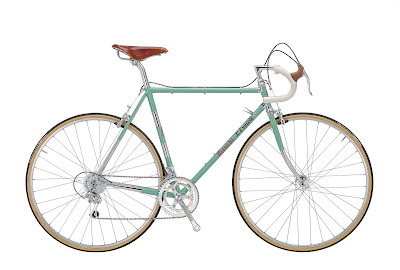 For this reason, Santini Maglificio Sportivo, with its half-century history, proved to be the ideal partner to create a unique collection that would embody the vintage soul of the Tuscan cycling event, bringing back to life the style and fashion of bygone era of cycling. The new official jersey of L'Eroica - Gaiole in Chianti is made from wool and features authentic additions such as a short metal zipper, triple back pocket with mother-of-pearl buttons, and the beautifully rendered event logo embroidered on the chest and back. The jersey is finished in the trademark burgundy colour of L’Eroica accompanied by a touch of orange, a colour originally synonymous with the Santini brand; additionally a series of original Santini clothing labels have been recreated especially for the line. Finally, an additional label created specifically for the range certifies the originality of every piece and endorses their use for all the Eroica events. 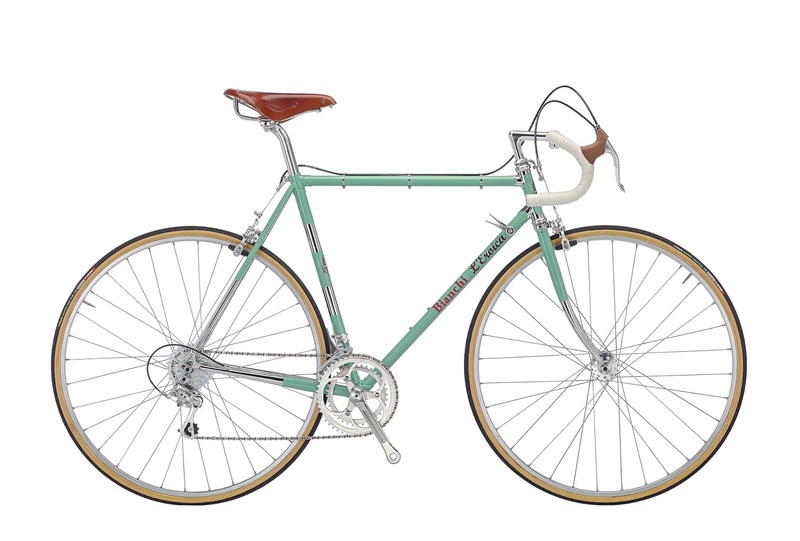 The EROICA BRANDED collection, inspired by some of the most significant pieces preserved in Santini company archives, will make its debut at the Eroica Primavera on Sunday May 3rd in Buonconvento, in the province of Siena. The entire collection incorporates both vintage wool racing garments and also a series of vintage casual garments, wearable off the saddle. Available in selected stores from May. 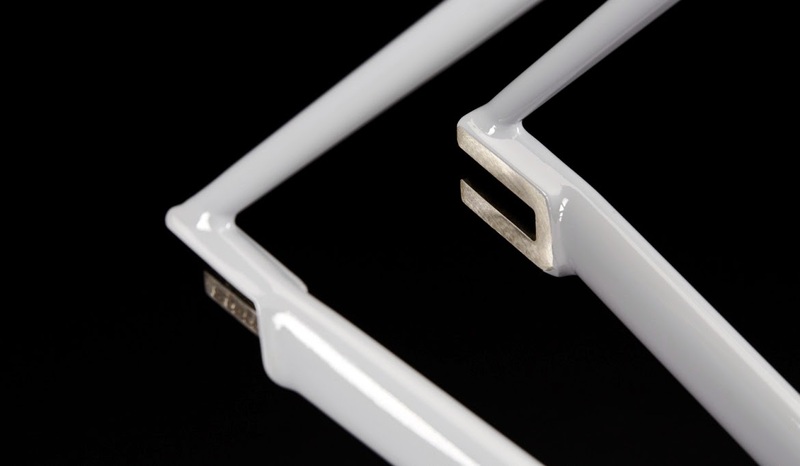 FrameBlock is the first bicycle with the lock directly integrated into the frame. Prevent bike theft, with Italian style! FrameBlock, which is patented by MilanoBike, uses steel cables and a burglarproof lock which are integrated into the design of the bike; the cables extend from the seatstays to a locking mechanism, both shown in red in the Kickstarter edition bike. Each FrameBlock also has a digital code on the frame which can be scanned to determine ownership. 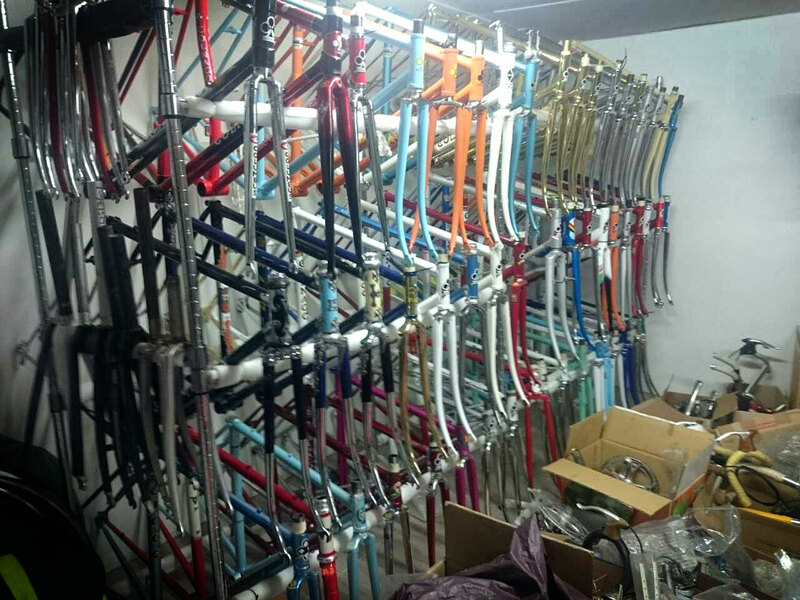 MilanoBike has started a Kickstarter page to get the production of the bikes started. More photos, videos pricing, shipping (available worldwide), and details can be found on Kickstarter here. 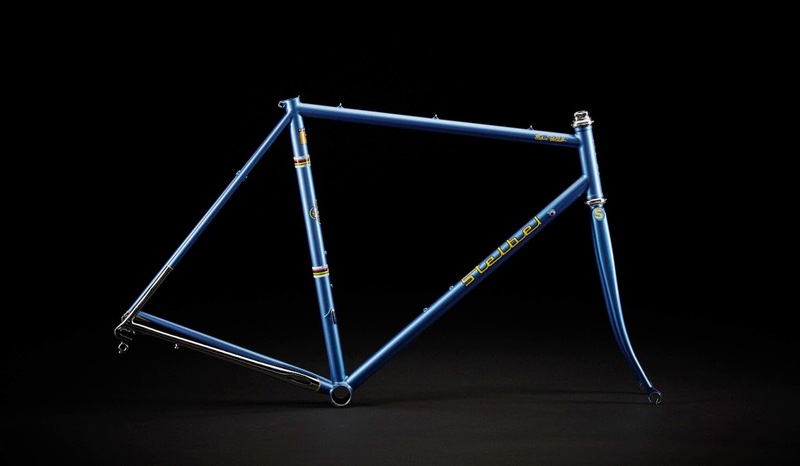 The Stelbel brand, founded in Rodano back in the 1973 by Stelio Belletti, has returned. Belletti, a passionate cyclist and a fabricator with exceptional talent and knowledge, was an early expert in the TIG welding technique. Personal problems forced Belletti to close the doors on Stelbel in 1990, and nothing more was heard from the famous framebuilder until 2013. In September of that year, there was talk of a return. The foundations were laid, and work began on returning one of Italy’s finest framebuilding brands to its former glory. 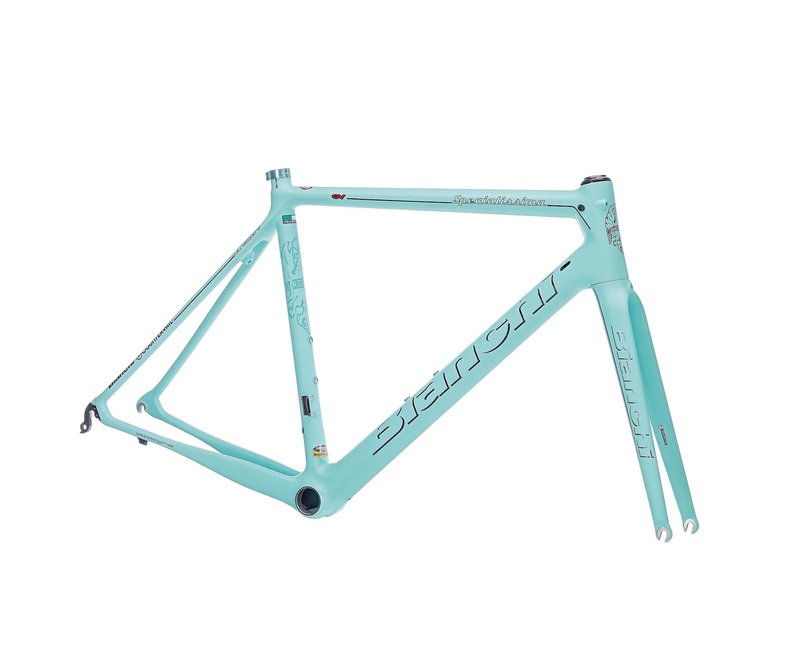 Now, thanks to a collaboration between Cicli Corsa and Stelio Belletti a new generation of cyclists can purchase a Stelbel frameset. The website is www.stelbel.it. 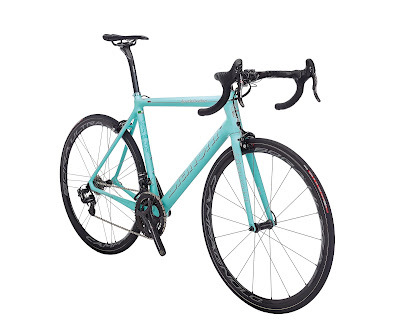 Note that a registry of classic Stelbel bikes has been created for owners. 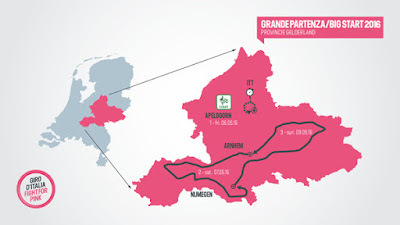 We are only a month away from the official start of 98th Giro d’Italia – organized by RCS Sport / La Gazzetta dello Sport and held from 9 to 31 May – with the new spectacular Team Time Trial stage being held, for the first time in Grand Tours history, on a cycling path: along the Italian Riviera dei Fiori from San Lorenzo a Mare to Sanremo. Edition 98 of the Corsa Rosa will finish in Milan during Expo 2015. 22 teams, each with nine riders, will start the race. 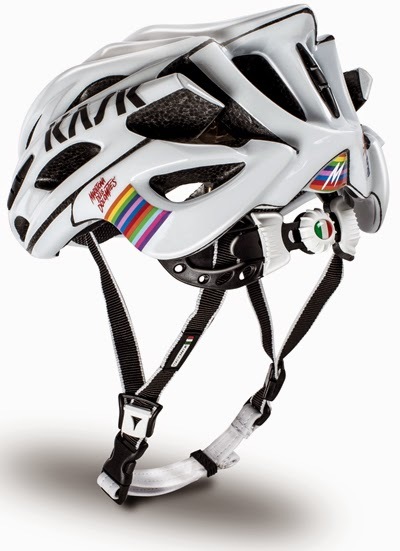 Balocco will sponsor the Maglia Rosa, worn by the General Classification leader. 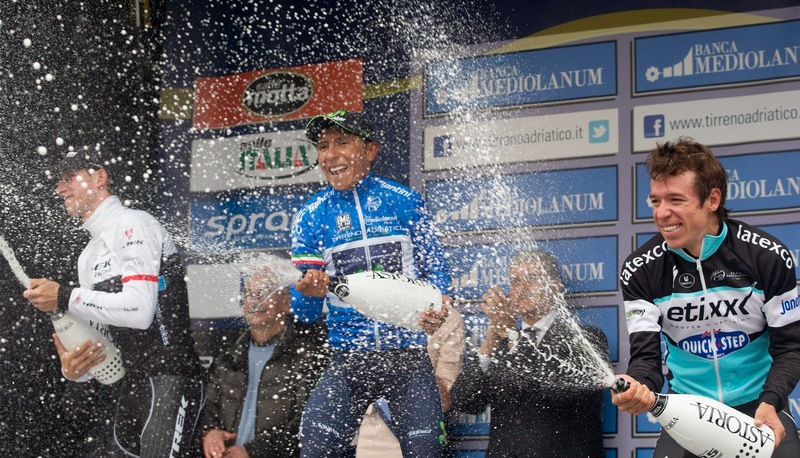 Banca Mediolanum will sponsor the Maglia Azzurra, dedicated to the King of the Mountains classification leader. Algida will sponsor the Maglia Rossa, worn by the Points Classification leader. 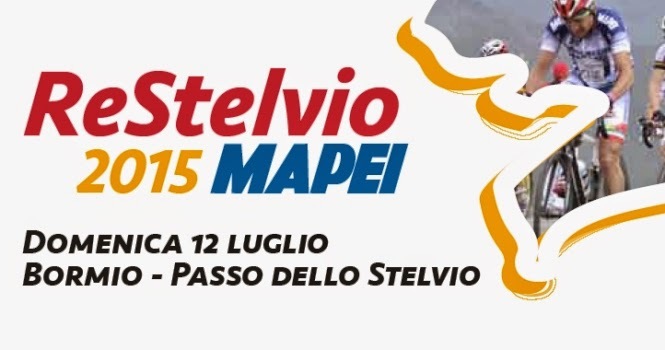 Eurospin will sponsor the Maglia Bianca, which goes to the Young Riders classification leader. 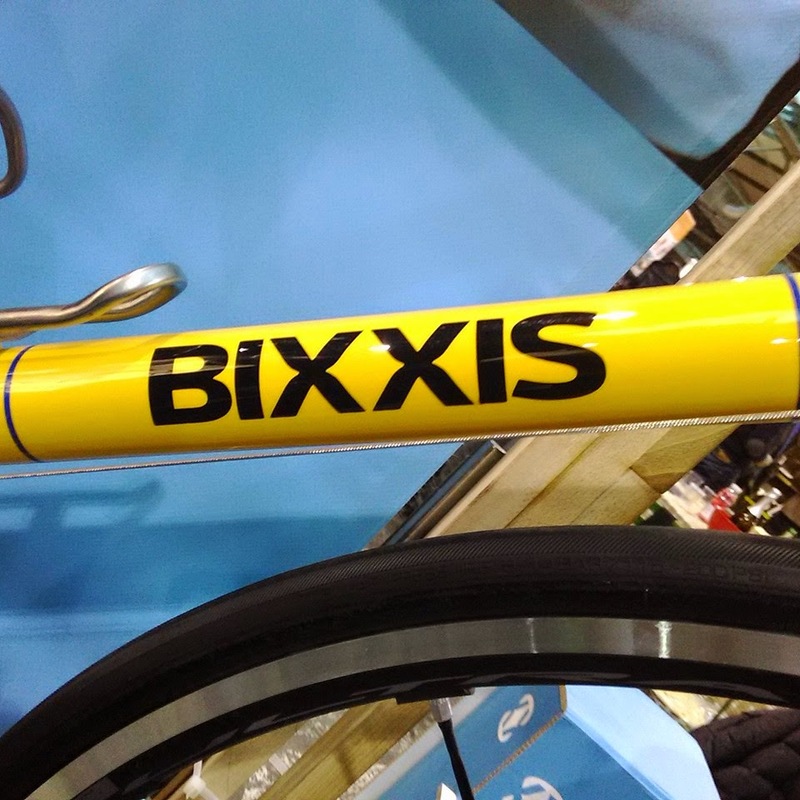 Doriano De Rosa, son of Ugo De Rosa, has decided to go on his own and is creating his own brand: Bixxis. 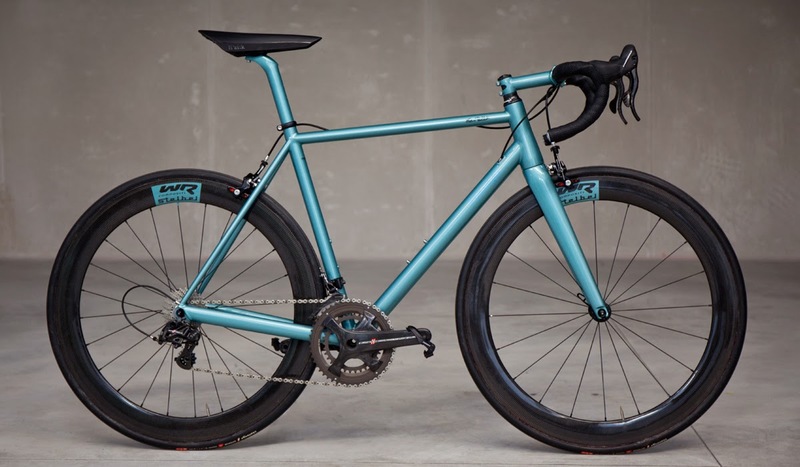 Doriano will be building only in steel and titanium (as he was at De Rosa) at a new workplace in Seregno, just outside of Milano, at Viale Edison 26. 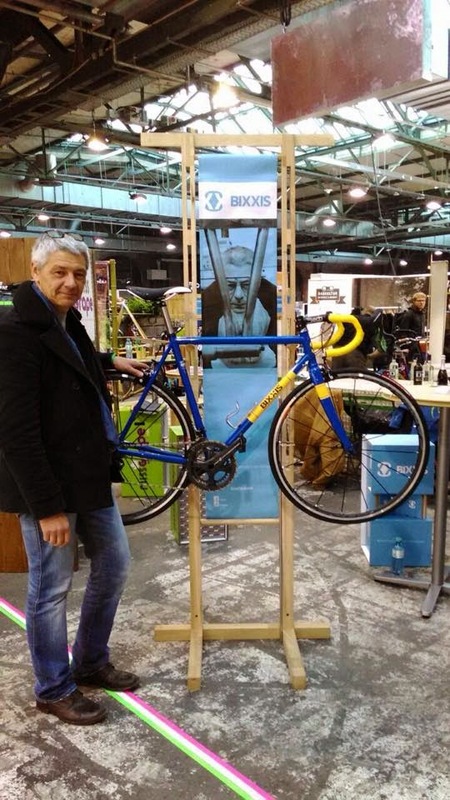 The meaning of Bixxis: Biciclette Italiane per il XXI Secolo; Italian Bicycles for the XXI Century. Website: www.bixxis.com You can register your email address here for future communications. 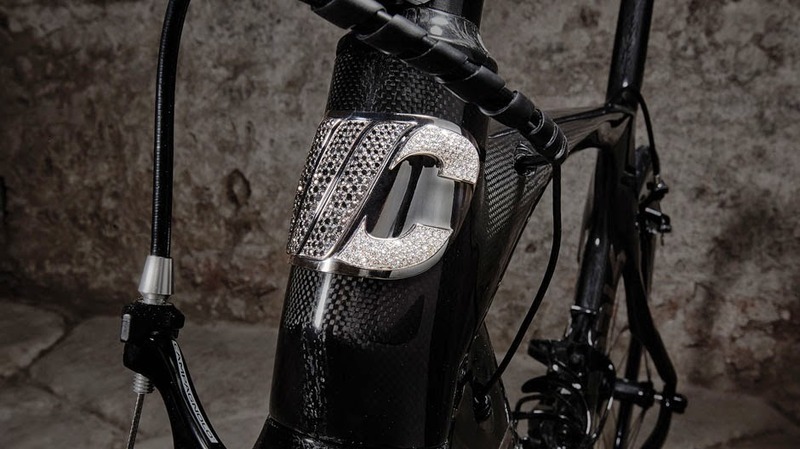 MCipollini wanted to create something new and without precedent for the “Like Bike” in Monte Carlo (3rd to the 5th of April 2015) producing this RB1000 Luxury Edition in carbon, platinum, gold and diamonds. "The Embacher Collection" is unparalleled anywhere in the world and has previously been exhibited at Portland (Oregon/USA), Tel Aviv and in Vienna. 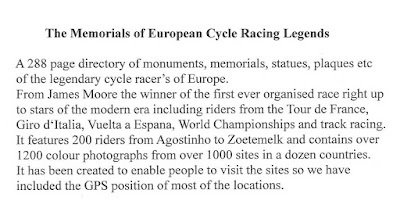 It also attracted attention through a special iPad app „Cyclepedia – Iconic Bicycle Designs“ and the books „Smart Move“ and „Cyclepedia“ (2011), self-published or published by Thames & Hudson. Among the prominent fans of Michael Embacher’s collection are fashion designer Sir Paul Smith as well as industrial designers Sir James Dyson, Richard Sapper, and Valentino Campagnolo. From the Funiculo bicycle, constructed in 1937 by Jacques Schulz, to the Italian ‘Skoot’ suitcase bicycle, the German Köthke tandem of 1948, or Alex Moulton’s titanium collapsible bike ONE OFF of 1991: The range of the Embacher Collection extends from 1930s bicycles to modern day examples. All of them are ready to be used. Initial bids range from 100 to 7,000 Euro. Arranged in eleven colours, the fanned catalogue reflects the auctions extraordinary quality. 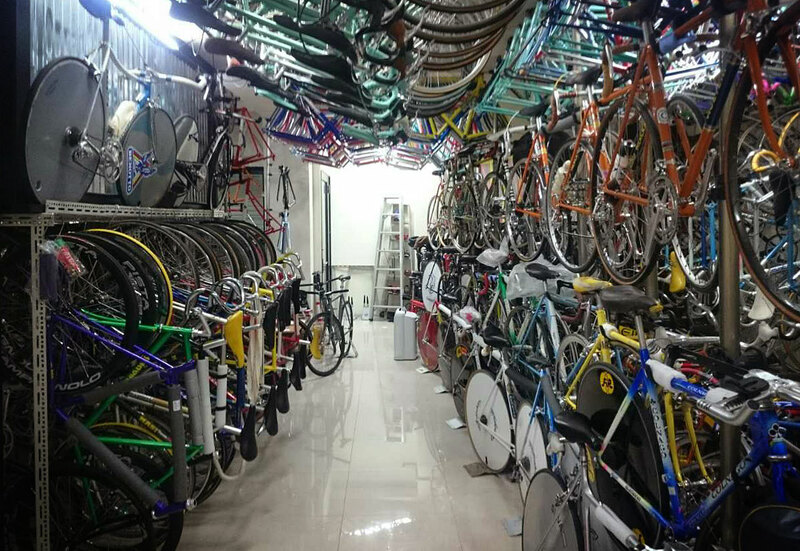 The bicycles are arranged as a fan of colours, reflecting the storage system the collector himself used to store his collection in an attic. He was never supposed to win. 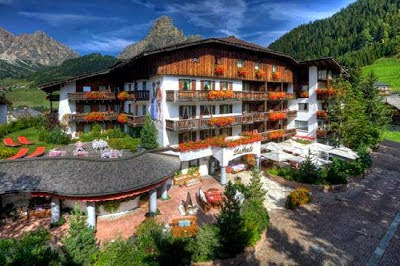 Especially not on the Tour de France's most venerated mountain. 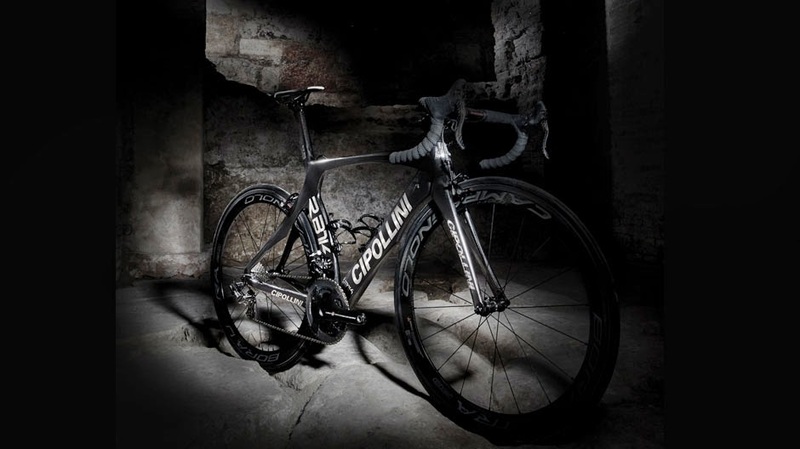 Sure, he was prized as Mario Cipollini's sprint lead-out man, but as a climber? Forget it. He weighed more without a bike than most of his competitors did with one, and towered above them all at 1.94 metres tall. He'd had a stellar amateur career, but turned pro late, aged 28. He was an excellent domestique, but not a doyen. No, Mont Ventoux wasn't meant for him. And yet, Eros Poli took it anyway. The Giant of Provence was conquered by a giant from Verona with a breakaway so audacious that his rivals ignored it. They thought it was the very definition of folly. It was, in fact, the definition of panache. It was the kind of romantic win befitting a guy called Eros. Cipo, the greatest sprinter of his generation and Poli's team leader, had crashed out of the Vuelta and missed the Tour. Mercatone Uno were without a leader for La Grande Boucle, and so the the workers were let off the chain. It was a rare opportunity to impress at the season's biggest event, and one that Poli took by the scruff of the neck. Attacking solo some 100km before Ventoux, the Veronese knew that he'd need a huge lead to stay ahead of the pack once the flat stage turned nasty and the road started heading skyward. He did the math. Accepted he'd need at least 24 minutes at the foot of the mountain – a minute for every kilometre climbed with an extra cushion, just in case. And then he went to work. When the early ramps of the ascent arrived, he was leading by more than 25 minutes. His opponents didn't know it yet, but they'd already sealed their fates. The peloton's big guns fired, but Poli was out of range, flying in spite of his bulk and his loneliness out in front. Not even an attack from a young Marco Pantani could bring him back. He crossed the summit four minutes ahead of il Pirata. Forty kilometres to the finish, but now he had gravity and adrenaline and a lifetime of ambition on his side. The stage, and a unique place in the history books, were his. 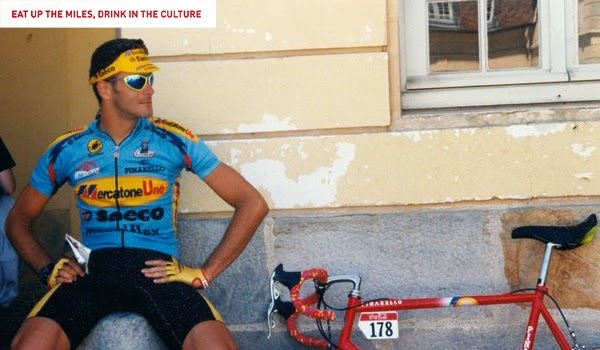 Miguel Indurain would go on to win the fourth of his five yellow jerseys that summer, but the undisputed star of the 81st Tour de France was Poli, thanks to one of cycling's greatest ever solo attacks. He did more that day than just win a stage that day in Carpentras; he won the hearts of cycling fans the world over. Because even if he was one of the tallest guys in the peloton, his was a victory for the little guy, and proof that, once in a while at least, spirit and guts could triumph over stacked odds and overwhelming adversity. The following morning, La Gazzetta dello Sport called Poli's win a national triumph for Italy. The director of the Tour, Jean Marie Leblanc, would later call him a hero. Two decades on, the French still lovingly call him Monsieur Ventoux. We're just happy to call him a friend. 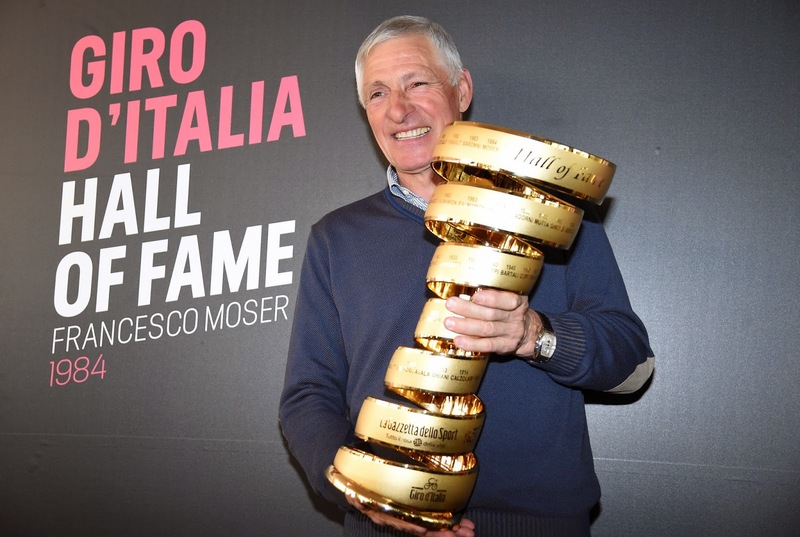 In a ceremony at Milan's Upcycle Bike Café this afternoon, Francesco Moser was inducted into the Giro d’Italia Hall of Fame. One of Italy's greatest professional cyclists, Moser sealed his victory in the 1984 Giro d'Italia in dramatic circumstances: on the last day of the race, in the magical setting of Verona's extraordinary Roman amphitheatre, the Arena, he sped across the finish line at the end of a 42km individual time trial to win the stage and take the final Maglia Rosa from his closest rival, Laurent Fignon. 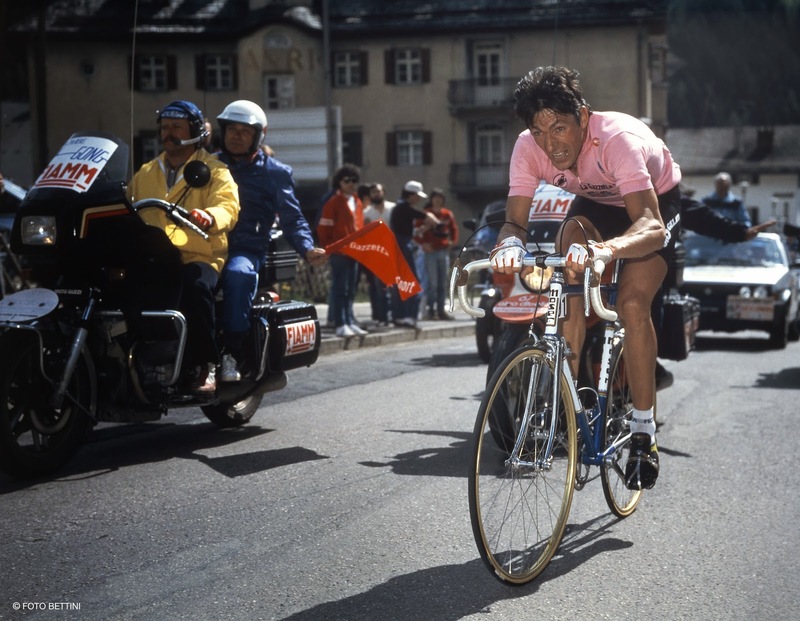 Born at Palù di Giovo, near the city of Trento, on 19 June 1951, Moser turned professional in 1973. 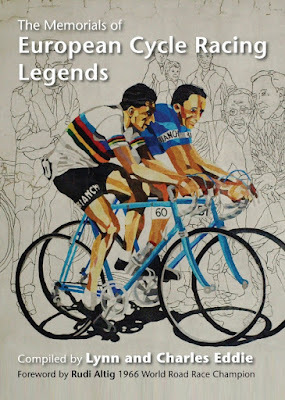 His 273 victories on the road (quite apart from his brilliant track career) make him the Italian rider with the greatest number of wins, and place him third in the world rankings behind Eddy Merckx and Rik Van Looy). Trophy: "To receive this beautiful trophy is special because I have a history with trophies: the famous cobblestone trophy at Paris-Roubaix was my idea, and I was the first winner ever to receive one. This trophy is unique too because the design means that they can inscribe the names of all of the winners in it. It’s nice to see your own name among all the previous winners, and all those who came afterwards. It’s going to be a big trophy a thousand year’s from now!" Memories of the last stage of the ’84 Giro d’Italia: "I knew I had a big chance: in the time trials at Lucca and at Milan, I had gained more than three secs per kilometre on Fignon. 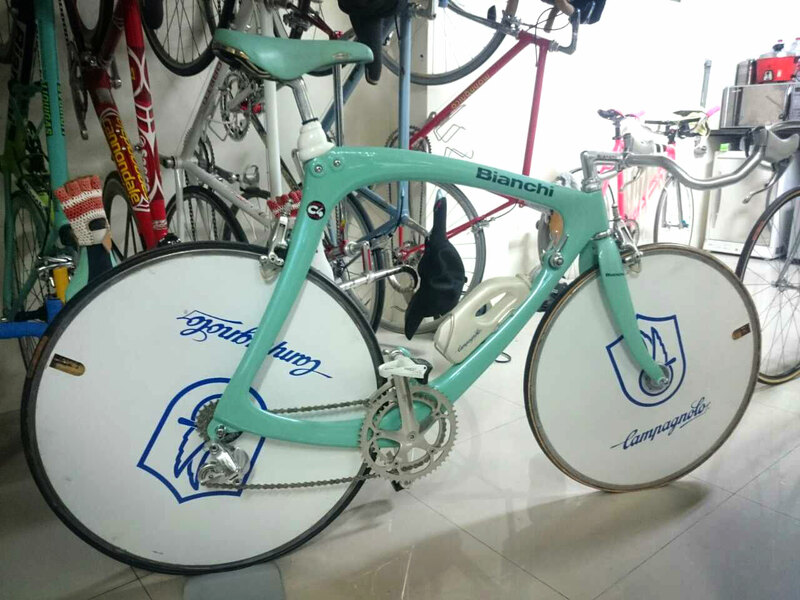 And I had a special bike, similar to the won I had used to set the world hour record. 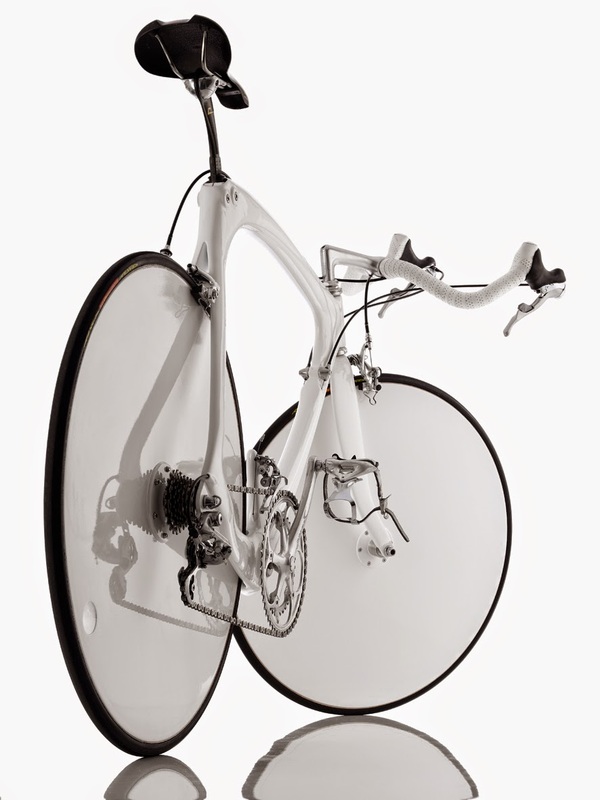 That morning, when I went to reconnoitre the course, I didn’t know whether to use lenticular wheels or not. 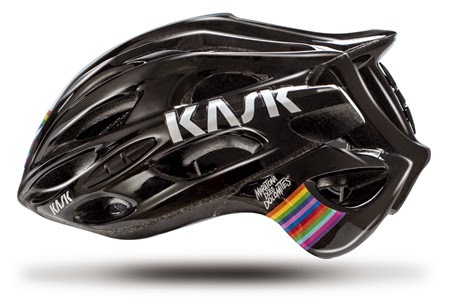 My team-mate Palmiro Masciarelli advised me to use them, and I did. The crowds that day were huge. I could hear them during the race. The news from the team car were good and, when I finished, I knew I had an advantage. I had to make up 1 minute 21 seconds on Fignon. I ended up beating him by more than two and a half minutes. The applause from the crowd inside the Arena was unforgettable." Milano Sanremo: "It’s a race with an enormous importance for the public, but also for the riders. It can work many ways: if the peloton falls asleep, it can be even be won from a long distance breakaway. When the finish was on the Lungomare Calvino, it was easy to lose position on all those semi-curves, so it favoured the true sprinters. On Via Roma, the race is more open because the road is long and straight. My favourite for Sunday is [Alexander] Kristoff: you have to be fast, but you have to get over the Poggio first. Then again, whenever there has been bad weather, the results have worked against the favourites. And there is talk of bad weather…"